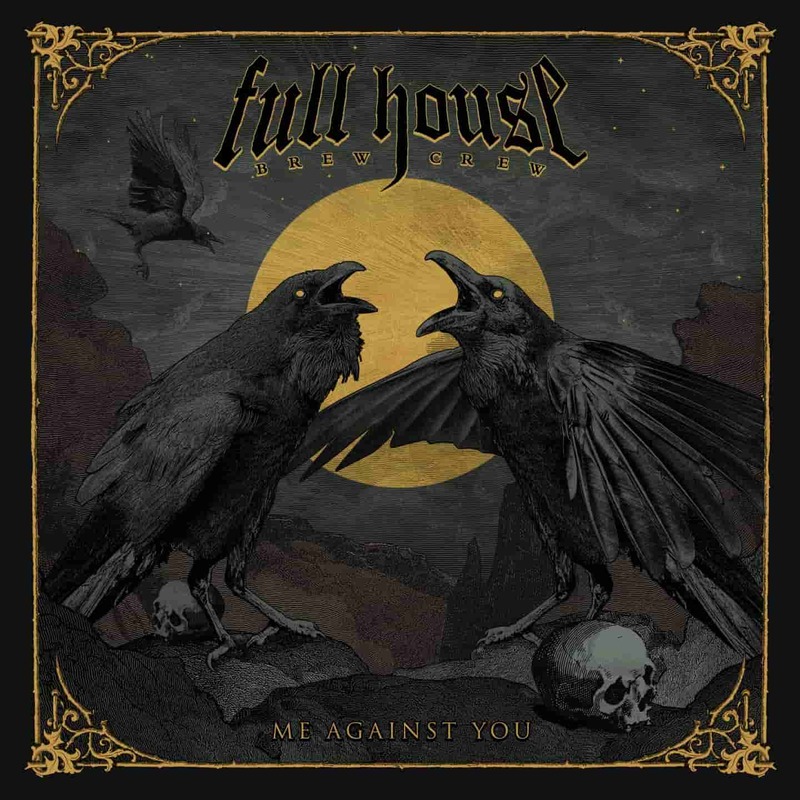 We Against You’ is the second album from the Greek groove metal band Full House Brew Crew. The band was formed back in 2009 by guitarist and vocalist Vagelis “Van” Karzis who currently plays bass for Rotting Christ. Their music has been compared to the Black album -era Metallica, Godsmack and Black Label Society. Well aside from some of the guitar patterns there is not much similarity to Metallica on here. What is fairly easy to detect though is the Southern metal, bluesy groove metal akin to the likes of Black Label Society. Even the vocal style is similar. That’s not necessarily a bad thing. This record has its moments such as the catchy, groovy guitar harmonies in the chorus of No One’s Safe or heavier, more aggressive, metal-sounding Hollow God. Once again the guitar work is pretty good and the vocals work well with the music. Those are the positives, now for the negatives… Some of the slower, ballad-type tracks on here reminded me of bands such as Nickelback and Disturbed. Take When I Crossed That Door! for example, it’s your typical hard rock ballad that you might hear on the radio. It falls in the category of melodic, radio-friendly rock that works ok as a background noise but ultimately doesn’t fill me with any kind of excitement. It is songs like this one that make the album seem a bit too long and lacking in energy. In summary, ‘We Against You’ features a mixture of styles ranging from groove metal, Southern rock/metal through to heavy metal and hard rock. I wish that there was more of the groove metal and less of the slow hard rock ballads which drag the album down. There are two peaks in a bands career. Two heights of artistic achievement that they can wear like a badge of honour. One is the concept album, the other… The “live” album. Nothing really says “We’ve made it” like selling out a venue, recording the show and selling that show for all to hear. For me, one of the best live acts I have ever seen would have to be, Planet of Zeus. They are a force to be reckoned with on the stage. Their music is so anthemic and powerful, it can connect with pretty much any audience member at any show. All I can say is if you haven’t taken yourself to a show from them. Treat yourself the next time they’re in town. 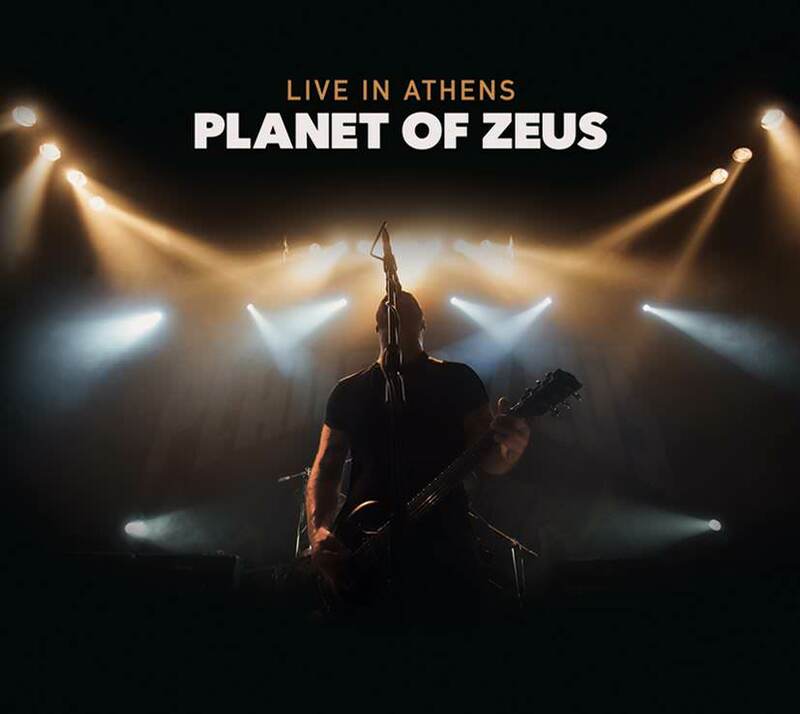 After their most recent record Loyal To The Pack, the band played their home countries capital city, Athens, to a ravenous crowd, giving birth to the bands first ever live album: Live In Athens (I know, such an original title). I will say that this record sounds excellent all the way through. It captures that feeling of a Planet of Zeus show to an extent. From the heavy riffs to the excellent and gut-busting solos this album sounds so damn good. When Stelios Provis busts out the solos, the rest of the band create a tight foundation from which he’ll just let loose and create magic with the guitar. The set-list for this show was a solid one as it’s completely filled with energy, good vibes and their unique atmosphere that they bring to the show. You even hear those little echoes and refrains that you only hear in a live setting. When Babis Papanikolaou roars out the lyrics to songs like “A Girl Named Greed”, “Loyal To The Pack” or “Macho Libre” I can feel it right down in my gut. It’s the kind of voice that you take notice of. The production as a whole is wonderful. The record is beautifully balanced and well mixed, I can only imagine what some of these songs felt like in the gig itself. If there’s anything that Planet of Zeus is known for it’s their riffs and they packed this setlist with their finest. Songs like “Leftovers”, “Devil Calls My Name” and “Little Deceiver” are definitely the moments that grab your attention. As their riffs just have that way of getting in your head and sticking around. It’s that great balance of groove, rock n roll and balls-to-the-wall heavy that makes Planet of Zeus such a compelling band to listen to. However, I think there’s something that can be lost on a live record. Some things from the gig itself don’t always translate quite as well to the album version. This is the only downside I can think of to this record, yet, it’s more of a failure of the medium. Some bands can really transcend it and make you feel like you’re at the gig from the live album alone. Here, I don’t think Planet of Zeus has quite pulled that off. Although, it’s a great recording and there’s all of the unfiltered crowd banter, as well as the audience chanting for the band. The recording of the crowd is great too. You hear their chants as clear as a bell and their interaction with the band is great. It must’ve been quite the crowd to be a part of night itself. Yet, there’s just something missing from it that stops it being an amazing live album. Don’t get me wrong it’s still a great listening experience but it’s not a great “live album”. This is a fun record to listen to. A must buy if you’re any sort of stoner rock or groove metal fan. If you’ve never listened to Planet of Zeus I would say that this is a great album to get you started. Not only did they provide some of their best material but you get a small sample of what it would be like to listen to them live. Which is a treat! I adore Planet of Zeus (if I haven’t made that obvious) and having missed the Loyal To The Pack Tour, this was awesome for me to listen to. They are simply one of the best bands going today in my opinion and this live record should be more than proof to anyone who denies that sentiment. I was taken back a little when I first heard the rip-roaring sound of Christopher Shayne and his band. The southern tones resonate with you almost automatically and Chris’s mature yet intense songwriting is fantastic to listen to. Chris, is one of the big musical driving forces behind southern rock band Whisky Six, who have been around for a while and have built up a lot of momentum after breaking out of Phoenix, Arizona. 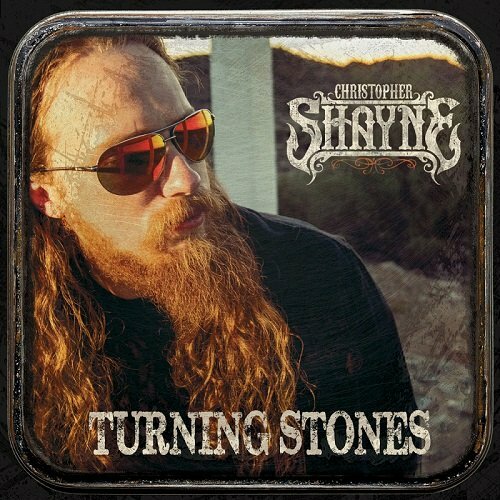 Now with Christopher Shayne’s debut album Turning Stones is one hell of a southern rock ride with a classic rock vibe that will keep you entertained and is very rewarding to repeat listens. Trust me on that I’ve been listening to this since the middle of June. Listening to this reminded me of the southern hard rock I loved as a kid i.e. Drowning Pool, Tantric, Saliva etc. Which immediately scored this album point in my book because I still love this type of music. The heavy distortion mixing with the clean mid range tones, the roaring guitars and the great bass grooves make this a compelling and enjoyable album. Tunes like Rock Show and the lead in single Give A Damn get you pumped. Also the album has it’s mellow moments like with the track “When I Come Down”. So the album has a lot of range to it and can be enjoyed by harcore rock fans and casual radio listeners alike. The album is filled with heartfelt and and powerful songwriting where Christopher Shayne shows his talent and passion for music. Overall, this album is fantastic. I tried to find fault but I personally can’t. It’s fun and creative in all the right ways. I was immediately hooked by the sound. I guess if you’re not into southern rock or country-esk rock music then I’d say maybe it isn’t for you. However, if you’re looking to take a chance on something then I highly recommend Christopher Shayne. Turning Stones is an exciting album filled to the brim with great riffs, insightful lyrics and fun rock tunes. This maybe my favourite discovery of 2016. The down and dirty Greek rockers Potergeist return with their fourth offering of riffy goodness. The four piece, consisting of Alex S Wamp (vocals), Nick XP and Stratal (guitars), Kostis Vihos (bass) and Tolis Toleas (drums), have delivered some great work over the years producing three great albums. This new studio album Crocodile Tears was produced and mixed by Pete Rutcho (Falling In Reverse,The Ghost Inside, etc) and is released on G.O.D. records. Crocodile Tears is just the next chapter in this band’s amazing story as their name keeps growing all the time. They have even supported some of the biggest names in the genre such as Black Label Society and Corrosion of Conformity. . The album begins with the haunting little opening “Swamp Muse Summoning” which is atmospheric and sets the tone brilliantly. Then the music roars in with the title track “Crocodile Tears” which I actually find to be the weakest song. Don’t worry, the album gets much better from here. I just find the title track to be a little drudging and non-interesting, it’s not bad necessarily, it’s just weak. However, once the album kicks into high gear it doesn’t let up for a second. The song “Visit from a Swampire” is a nice call back to their previous record Swapires and contains all of the same southern style metal. Their riffs sound big and are very fluent. Every song just flows with bluesy licks and stoner riffs seamlessly matching up. The melodies are really catchy and get stuck in your head with ease. Like their past work, this album is very accessible with tunes such as “Eve” and “The Preacher and The Witch”. I think people who aren’t even into this style of music could groove to these riffs. In all honesty though, I don’t feel this is the band’s strongest work to date. Whilst it is a worthy follow up to their 2013 effort Swampires, this record isn’t a patch on the 2012 album Muddy Mermaids. It’s quite difficult to explain but I feel that their work in 2012 had a lot more power and scale in it’s execution. This record is still one fun album to listen to but there are just one too many moments where it feels like you’re being pulled through it rather than wanting to hear it. Also there are a couple of times on the album where the production gets really muddy and hard to hear. That might not be the worst thing on a southern style stoner rock album, but when you compare this to bands like Godsized, Orange Goblin or Planet of Zeus you can certainly hear a noticeable difference in the quality of the sound. Yes, this is a cracking album but there are just a few points that bring it down. However I still have fun listening to this band and this album does have some great riffs and well executed solos. There’s enough here to keep me, and I’m sure many others, entertained. I look forward to whatever else this band brings to the table. 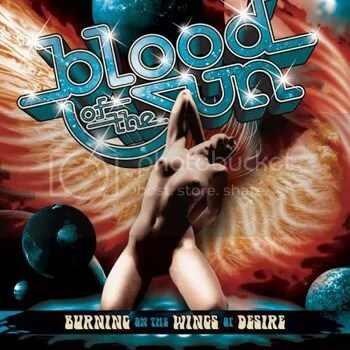 Saying Blood Of The Sun is a 70’s-hard-rock-inspired band is quite an understatement – Blood Of The Sun is a time machine set to take you to that decade. The only hint of the current millennium is probably the cleaner, sharper sound of the instruments, product of the latest technology. All eight tracks are filled with loose guitars, groovy beats and colourful keyboards – the organ kind of keyboards, no synths or even piano. Like I said, ‘70s. The first track, “Let It Roll”, makes justice to its title, mixing the aforementioned elements in a happy rocking tune. It also contains one of the best guitar-vs.-keys solo in the album – even if it lasts 1/3 of the song. Up next comes the title-track, its pace a notch slower. Until minute 1:45, give or take a second, the melody is based on the same riffs, sounding too repetitive and almost annoying. But then, as if an “end of the first act”, the music changes into a clear memorial to Jon Lord and his work with Deep Purple. The song remains instrumental from there until the end, and unlike its first part, it provides a wide diversity of chords and hooks. “Can’t Stop My Heart”, “The Snitch” and “Rock Your Station” resume the straightforward ‘70s hard rock of “Let It Roll”. As for “Good Feeling”, “Good And Evil” and especially “Brings Me Down”, the feeling of Southern blues has a strong hold. This album manages to combine simple and complex passages, making it pleasant to both demanding and “light” listeners – as long as they’re into this retro essence.